LAST WATERFRONT LOT IN MARINA VILLAGE!! THIS ONE WON'T LAST LONG!! Marina Village is a private, quiet, bayou- coastal community with a pool, playground, and stocked ponds for catch and release fishing only. Marina Village has direct access to Lagrange Bayou via the Freeport Marina, which is the only full service marina in our area! 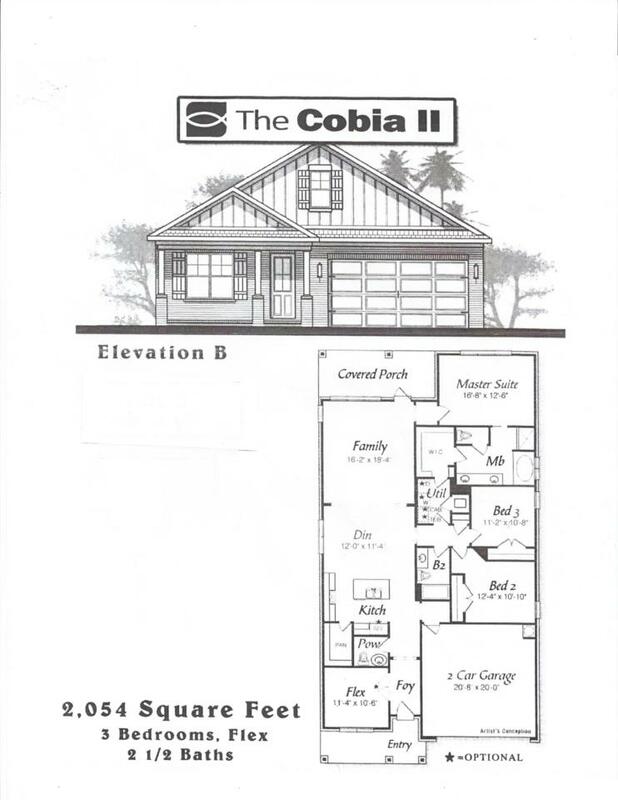 The Cobia II floor plan has 2054 sq.ft. with 3 bedrooms plus a flex room, and 2.5 baths. Brick exterior, low e-vinyl windows, covered entry, large covered rear porch, 2 car garage, and landscaping package with automatic sprinkler system are just some of the exterior finishes on the home. Interior finishes include 9 ft ceilings, laminate, tile, and carpet floor coverings, brushed nickel fixtures, double vanity and walk-in closet in the master bath, granitecounter tops as well as upgrades to include 8 ft interior doors, cased windows in most of the home, tiled shower and tub deck, crown molding throughout the home (no closets, pantry, baths, halls), laminate flooring in the flex room, laundry base cabinet with drop-in sink and granite counter top in the laundry room, and a built-in single oven with microwave above in cabinets and drop-in cooktop with chimney style hood above.